Mr. Mutani Esu is a Japanese ninja who waited on the playground to fight kids during recess at Fighting School. Axe Cop would return to the playground one day to defeat Mr. Mutani Esu using the man’s only weakness, the Green Banana Gun. 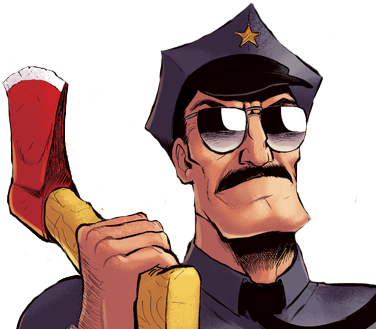 Where did Axe Cop go to school?